There are some real gems hidden away from the AAA movie industry. 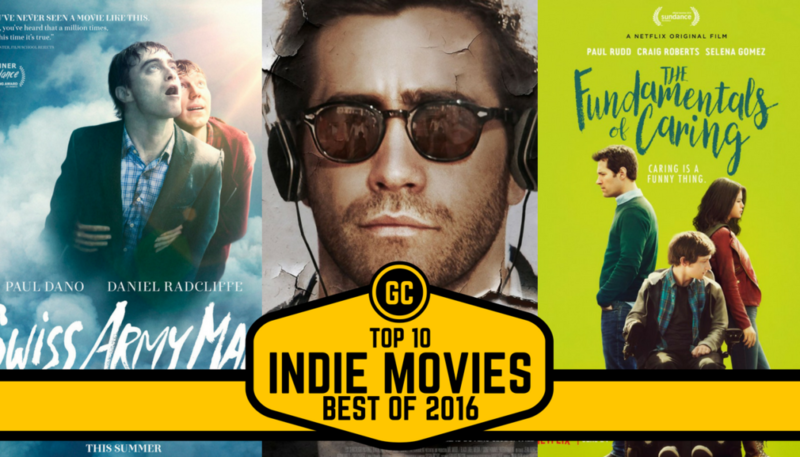 Here are the Top 10 Best Indie Movies Of 2016. This feel-good movie is a Netflix original and has a cast which includes Selena Gomez and Paul Rudd. It is the story of a struggling writer who retires after a personal tragedy and becomes a caregiver to help himself heal. His first job is to take care of a sarcastic and cynical teenager played by Craig Roberts. A Netflix original, Talullah is the story of the titular character who ends up babysitting the toddler of a frustrated Beverly Hills housewife. It is based on the critically acclaimed short, Mother which was released in 2006. India’s answer to American Pie, this movie is about a bunch of sexually-frustrated quizzers and their quest to get laid. Winning quizzes is also a minor objective along the way. The show has a lot of jokes that will be delightful to those interested in quizzing. This is the dramatised love story of Barack and Michelle Obama and is set in the summer of 1989. It starts off slow and details their first date which leads to the creation of the world’s most famous power couple in the world. Captain Fantastic is about a man who decides to raise his children off-the-grid, deep in the forests of Washington. When his wife dies, he has to guide his sheltered children in a world that is completely unfamiliar to them. High rise is about a dystopian world based in the 1970s where the residents of a multi-storey building grow increasingly isolated from the outside world. The community within the building faces its own challenges. The cast includes Tom Hiddleston, Sienna Miller and Luke Evans. This movie features Daniel Radcliffe as a reanimated corpse who helps a man stranded on a desert get back to civilization. The movie is pretty weird but manages to slip in a few life lessons in as well. This is a pretty polarizing movie and whether you like it depends on if you can embrace the strangeness. This is the story of Doris, an old woman who loses her mother and has to regain a sense of purpose. She goes on a journey of self discovery and alienates friends on her way. She even starts up an office romance with a coworker who might just be too young for her. Set in a world where singles are given only 45 days to find a romantic partner. It is a satire based on the notion that society expects people to form relationships and the movie dramatises this to the extent that being single is treated as a serious condition that people must be cured of. Demolition is about Davis (Jake Gyllenhall), an investment banker whose wife is killed in an accident. The movie details his unusual attempts to cope with this terrible loss and has been positively received by critics.